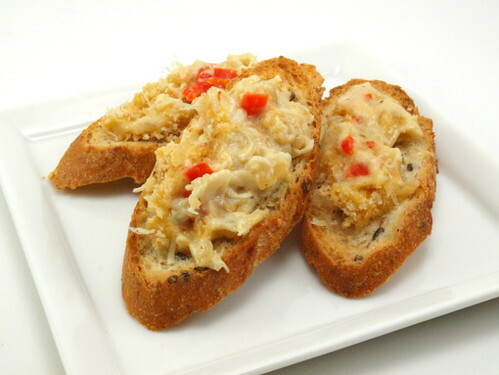 I am not a big fan of crab in a general sense. In fact I am not a fan of shellfish overall. That said, I love, and have always loved, crab cakes. 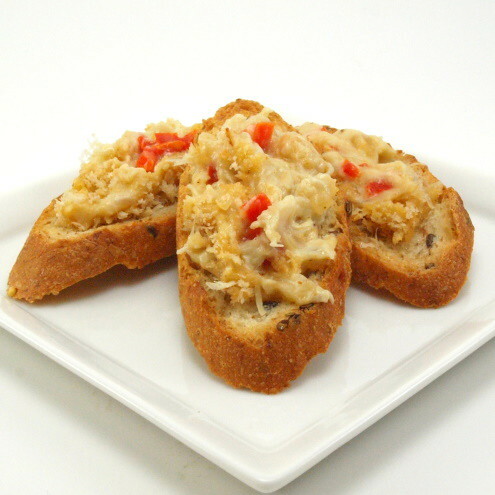 I like the mix of flavors, the different textures, and I find the creaminess of the crab mixture hard to resist. 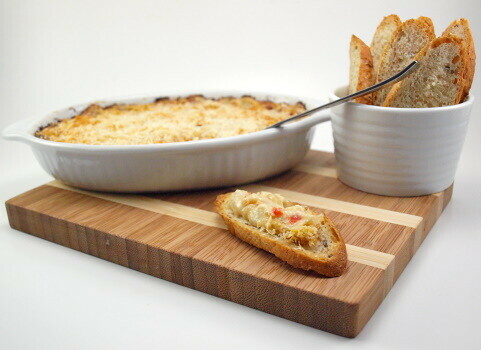 So, in an effort to expand my crab consumption options I modified one of my favorite crab cake recipes and made it into a warm dip. 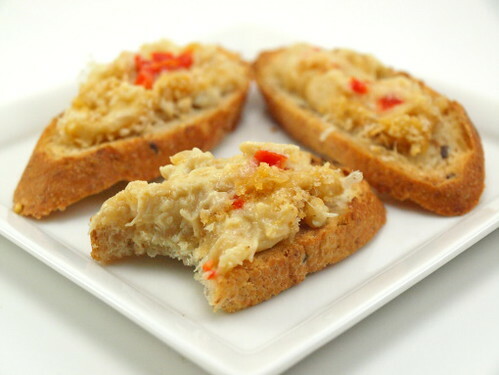 It has everything that I love about crab cakes with the addition of cream cheese, some extra spices, and some red bell pepper for flavor and color. 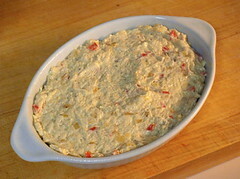 Serve this with some hearty crackers and you have a lovely dip fit for any occasion. Dress it up by spooning it onto crostini arranged on a pretty platter and you have an elegant canape for a cocktail party. No matter how you choose to serve it, it will be a hit! 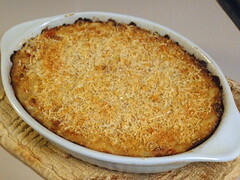 Heat the oven to 350 F and spray a small casserole dish with non-stick spray. 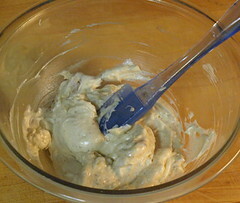 In a medium bowl combine the cream cheese, mayonnaise, lemon juice, Old Bay, and mustard powder until smooth. In a pan over medium heat melt the butter. 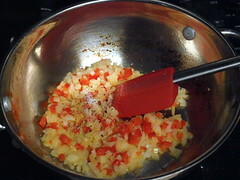 When it begins to foam add the onions and bell pepper. Season with salt and pepper. 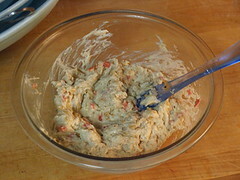 Cook until soft, about three to five minutes. 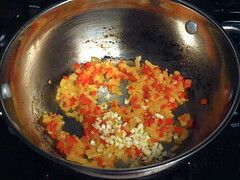 Add the garlic and cook for thirty seconds. 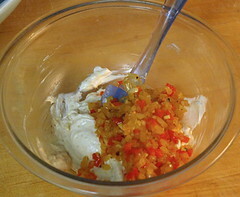 Pour the vegetable mixture into the cream cheese mixture and mix well. Add the crab and fold in gently. 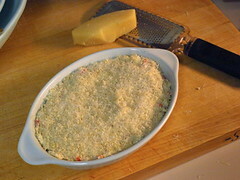 Pour into the prepared dish and top with the panko bread crumbs and parmesan cheese. 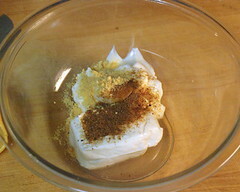 Bake for 45 to 55 minutes, or until golden brown and bubbly. Allow to cook for five minutes before serving. © 2009 – 2014, Evil Shenanigans. All rights reserved.